My Series Sunday pick is Merry Christmas, Alex Cross, the 19th book in the Alex Cross series by James Patterson. Well, maybe not so merry. On Christmas Eve, Alex Cross is called to church. Not to worship, but to catch a robber who is stealing from the church's poor box. He successfully catches the robber and returns home to decorate the tree. It's not long before his phone rings again—now Alex is being called to the scene as Negotiator for a hostage situation. 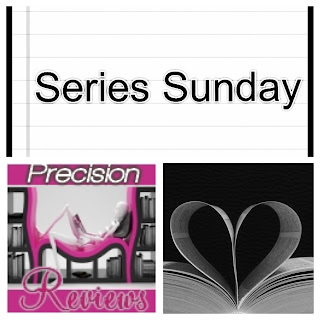 As if that isn't merry enough, Alex is sent to Union Station to catch a most-wanted terrorist, Hala Al Dossari. His wife, Bree, Nana Mama and the children can't get in the Christmas spirit with Alex gone and in possible danger. Is celebrating the holiday with family too much to ask? Is getting a good Alex Cross book too much to ask? Although this is a quick read for the holidays, it fell short of being great. Is it the "Must Get, Must Give" book for Christmas? No. 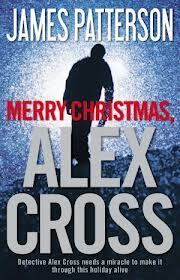 But check out the video below of the Merry Christmas, Alex Cross book trailer for amazing visuals to the plot.